It’s been a difficult week for film fans. First, we lost the immensely talented Robin Williams. 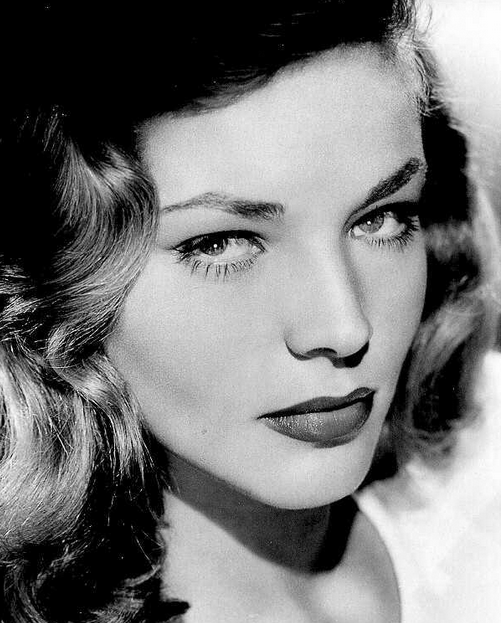 And yesterday, we learned that the iconic, lovely Lauren Bacall has passed away at the age of 89. She was a model who parlayed arresting good looks and no short amount of talent into a storied career that lasted for more than seven decades. She was a two-time Tony Award winner and an Oscar nominee (and was awarded an Honorary Academy Award for her fantastic body of work in 2009). She was a writer, producing two well-received autobiographies chronicling her interesting (to say the least) life. She was a mother, a political activist, even a voice-over artist (Ernest and Celestine, Family Guy). She was, in short, an absolute wonder of a woman. Still, for all her accomplishments, Bacall has always been almost inextricably linked with the memory of her first husband, Humphrey Bogart. She famously made her debut opposite the much-older actor in 1944’s To Have and Have Not. Including that first pairing, the couple ultimately made four films together, with The Big Sleep (1946), Dark Passage (1947), and Key Largo (1948) rounding out their shared filmography. The fascination with the Bogie-Bacall pairing is not all that hard to understand, in retrospect: both of them were skillful performers, both beautiful people with a magnetic appeal for audiences, and their real-life attraction virtually crackled onscreen. The romance between the two has garnered a legendary status over the years; indeed, by most accounts, it was a truly great love story. And Lord knows, there’s nothing we as human beings love more than a good damn love story. “Slim darling, you came along and into my arms and into my heart and all the real true love I have is yours – and now I’m afraid you won’t understand and that you’ll become impatient and that I’ll lose you – but even if that happened, I wouldn’t stop loving you for you are my last love and all the rest of my life I shall love you and watch you and be ready to help you should you ever need help. She’s finally gone to join her Bogie, and left our world that much dimmer for her absence. You are already greatly missed. Brandie, I could have sworn I had already sent you a kind salute to Lauren Bacall, though I haven’t seen them; don’t know why! However, I was moved to tears by your lovely and heartfelt comments about her life, especially your letter from Bogey to his beloved Baby. BRAVA to for your wonderful post!